2013 | No Chic. Just Geek. As you may have noticed, I am quite lucky, or at least determined, when it comes to actually getting to see the films that I want to see. 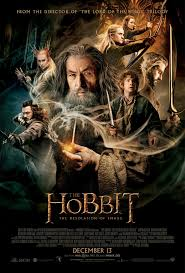 Since the back end of 2010 it has been quite unusual for a mainstream film to come out and my not to be able to catch it on the big screen in some form, the main exceptions being a particular style of mainstream thriller which the Oxford city centre multiplexes don’t seem to like very much. Nevertheless exceptions do occur and I am lucky enough to have a colleague who not only enjoys movies as much as me, but also still buys DVDs. Apropos of I-don’t-remember-what, he asked me a while back if I’d seen A Field in England, and when I admitted I hadn’t and that this was a source of some regret, he was kind enough to put it in my direction. Also included, and which I was (of course) much too polite to demur about, was Alexander Payne’s Nebraska. Now this was a movie which did get a release at the Oxford Phoenix and which I could quite probably have gone to see on the big screen, but I must confess that something about it didn’t really appeal: a black and white road movie comedy-drama about a dysfunctional American family? I don’t know, I thought I had much too strong an idea of what this film was going to be. (And I must confess to having gotten Alexander Payne jumbled up in my head with Alexandre Rockwell, despite having seen and enjoyed The Descendants and About Schmidt, though I doubt that’s a hanging offence.) It took me a while to actually getting around to watching the DVD, in rather the same way it’s taking me a while to actually start writing about Nebraska – I wasn’t sure I would enjoy it, and I’m not sure I’ll be able to find enough things to say about it now beyond simply restating the obvious. The core of Payne’s film is the relationship between Woody Grant (Bruce Dern), an elderly man in small-town Montana, and his son David (Will Forte). Woody is, not to put too fine a point on it, a contrary old git, a borderline alcoholic who appears not to give a damn about anyone but himself, and when he is discovered one day seemingly wandering at random on the edge of town, there is a sort of communal sigh of dismay from everyone connected to him. But Woody insists he is not senile: he is in possession of a letter assuring him that he has won a million dollars in a sweepstake. It looks like an obvious scam, but Woody refuses to accept this and tries again and again to leave town, heading for Lincoln, Nebraska where he can collect his winnings. Short of having his father put away, David realises there is no way he can convince him to stop: and it’s with a certain sense of resignation that he realises he has no really pressing business to prevent him driving his father to Lincoln himself. 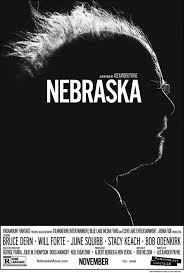 So, Nebraska is a black-and-white film from an indy-ish director whose biggest star – internationally speaking, at least – is probably best known for films he made back in the 1970s (I’m thinking of Silent Running and things like that). The opening shot is of an urban landscape, with a tiny human figure stumbling through the snow towards the viewer for what feels like a very long time. A violin is playing soulfully on the soundtrack. Is this simply just the kind of film that it appears to be? You know what I mean: Arty and Significant and probably just a bit Slow and Depressing. It has to be said that Nebraska does go on for over two hours, and a lot of it consists of various characters driving back and forth between the same handful of places. The plot contains no great reversals or stunning twists. The fact that Payne chooses to film it in black and white is, I think, a significant artistic choice, rather than the result of budgetary constraints. The results have a sort of pristine clarity which is is quite beautiful; the cinematography is quite beautiful. The thing is that much of the film is actually taking place in locations and concerns people which you wouldn’t ordinarily think of as being remotely pleasant to look at: hospital and motel rooms, scuzzy taverns, the backs of cars, filled with large men in baseball caps and dungarees or slightly decaying older people. This is a very blue-collar world, in places almost a redneck one, and it seems to me that by filming it in such an elevated style Payne is trying to summon up the magic of the everyday and commonplace and invite viewers to look again at the world around them. I suppose this does tie in to the theme of the film somewhat, which is that of David Grant reappraising his father and their relationship, and to some degree himself. On the other hand, if Payne really is trying to suggest that beauty is all around us, filling his movie with so many small-town grotesques and cantankerous elderly curmudgeons is a strange way to go about it. Nearly everyone in this film is either mildly weird and/or objectionable on some level, or very weird and/or objectionable. The exception is, naturally, David himself, because as the viewpoint character he has to be someone the audience identifies with – but it’s never really explained why he should be the only normal one in the family. It sounds like I had a terrible time watching Nebraska, doesn’t it? And, to be fair, the early part of the film does have an air of quiet desperation about it which could bring a person’s mood down, as David realises nobody’s life seems to be going anywhere, and Woody’s quest to collect his million is really no more absurd or quixotic than any of the concerns held by the other characters in the film. But it was never actually a chore to watch, and as the film went on I found myself warming to it quite considerably: I do like me a slice of low-key comedy-drama once in a while, after all, and it would be absolutely unfair to suggest that Nebraska is anything other than extremely well written, directed, and performed. 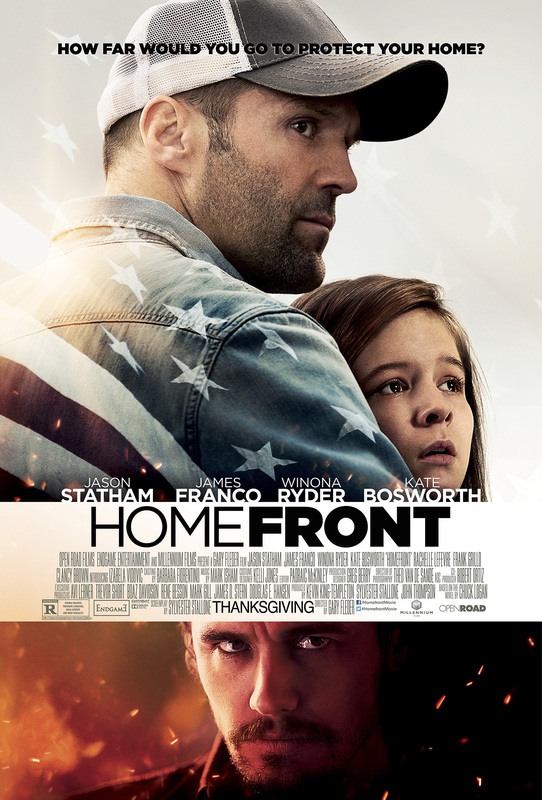 Dern gets the showy role, obviously, but Forte is extremely good as the straight man of the film: his is a performance of considerable subtlety, and the transformation in attitude he goes through by the conclusion of the film is convincing without feeling heavy-handed. The final sequence of the film is, to be honest, quite charming and lovely, without going into details too much. So there you go, proof that a really good film can win you over even if you do (figuratively speaking) turn up to it with serious reservations. In narrative terms it’s a small, low-key story, but one about universal themes of family and respect and coming to terms with the disappointments of life. I’m not saying I’m in a hurry to watch it again soon (which is a shame, as I should probably give the DVD back), but somewhere down the line I would definitely like to look at it again. There’s a website which I regularly visit, fairly admirable when it comes to news relating to all things in the horror, SF, and fantasy genres, but just a little bit taxing in some of its politics. How can I describe the ethos of the place? ‘Dogmatically progressive’? That makes it sound like I’m some kind of baleful reactionary, which I hope is not quite yet the case. But even so, the view that any story must necessarily be improved by making the characters more diverse is one I have trouble subscribing to. Look at, for instance, John Carpenter’s The Thing – I don’t think you can improve this movie, all you can do is make it different. 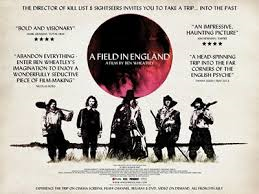 Perhaps less accomplished, but equally distinctive and even less diverse is Ben Wheatley’s A Field in England, in which five straight white blokes wander about the countryside for about an hour and a half. At least, I think that’s what it’s about. This is not a film which feels the need to offer much in the way of easy answers, or indeed normal narrative coherence. ‘Non-naturalistic’ doesn’t begin to do justice to this film’s weirder sections, but then it does scream ‘experimental film-making’ too. Shot for well under half a million quid in less than a fortnight, it was also the recipient of an equally adventurous release strategy, being shown on TV the day of its cinema release (which, of course, was also the day it was released on DVD and for download). Perhaps they would have been less unconventional with a less unconventional film, for A Field in England is deeply strange: Ben Wheatley specialises in a particular style of deeply ominous horror, occasionally married to a very black sense of humour, but even compared to something like Sightseers, this is an unashamedly unsettling film, by turns earthy, comic, graphic, and surreal: filmed in black and white, almost always an intentional distancing device nowadays, it also features strange posed tableaux of the various characters at key junctures, and at one point cuts to one character singing a folk song straight to camera. If we’re going to talk about English Civil War horror movies, the inescapable thing-that-must-be-acknowledged is, of course, Witchfinder General, and the influence of Michael Reeves’ film is clear, if subtle. The main difference is that Witchfinder General, despite its title, is fundamentally about very mundane human evil and corruption – but there is a sense of darker forces being in play here, and the structure of the world breaking down. Magic mushrooms are a recurring presence in the film, and it seems to be implied that whatever forces O’Neill commands are in some way connected to them – his character seemingly materialises out of thin air while most of the other characters are high on them. They also seem to fuel the deeply bizarre hallucinatory visions afflicting Whitehead at one point during the climax, but then the whole film has a skewed, nightmarish feel to it. People appear and disappear almost without reason, abruptly vomit up stones inscribed with strange markings, even rise from the dead without any explanation being given. It’s quite possible the whole thing is intended to be allegorical on some level – the film is structured so it concludes practically in the same way it began, and you could interpret the whole thing as some sort of solipsistic psychological crisis undergone by one of the characters. Certainly the nature of the treasure everyone is after remains wilfully obscure, and there’s arguably a sense in which the story is about discovering your own inner strength, surely the greatest treasure of all. Then again, I could be completely wrong, of course. What’s certain is that Ben Wheatley’s direction retains its usual dark magic, while Amy Jump’s script gets the balance between dreadful strangeness, earthy splatter, and identifiable characters just about right. Michael Smiley, resplendent in a rather magnificent hat and cloak, is revelatory, and Reece Shearsmith’s performance is also just about the best thing I can remember him doing. A Field in England is small and strange, but it always looks and feels like a proper movie, and one which has clearly been made with great skill. Despite all that, however, it’s more hypnotic to watch than it is genuinely enjoyable – or so I found it, anyway. The atmosphere of brooding, dislocated menace throughout it makes it slightly uncomfortable to watch, but still probably worthwhile. I was looking forward to Wheatley’s forthcoming adaptation of High-Rise already, but this has stoked up my expectations still further. Well, the end of the year is very nearly upon us, and of course one of the signs of this is the fact that the cinemas are getting ready to fill up with prestigious, big-budget, star-laden quality movies, all with an eye to collecting as many gongs as possible in a few months time: The Secret Life of Walter Mitty, Twelve Years a Slave, the Mandela movie, and doubtless many others will soon be with us. None of them really look like a barrel of laughs, but on the other hand it’s arguably the equivalent of the January detox after the usual festive excesses. Sneaking out ahead of the pack is Carl Rinsch’s 47 Ronin, a costume-drama based on the venerable and much-loved Chushingura literature dating from early 18th century Japan. Clearly, no expense has been spared in bringing this slice of Shogunate life to the screen in a deeply authentic and respectful way, as all the subtleties and strangenesses of feudal Japan survive intact, with a very nuanced and emotionally expressive central performance as a samurai warrior from Keanu Reeves. It all sounds just about plausible until you reach those last couple of words, doesn’t it? (And I say that as someone who always enjoys it when Keanu turns up on screen.) Hey ho: this is very much not a prestige production, nor even a remotely successful one. In a rational world it might even be challenging the likes of After Earth for the title of Dog of the Year, but we shall see. As the film opens we are transported to a Mystic Japan of Expository Voice-overs, where demons and spirits still lurk in the forests (despite the fact that it’s technically set only about three hundred years ago). The movie may be based on a real-life historical event, but the actual plot structure we are presented with consists almost entirely of bits from bog-standard fantasy movies with their desktop theme reset to late-period Kurosawa. So we meet the mysterious orphan adopted by a wise old nobleman, witness his loyalty and nobility as his patron’s blood family mistreat him, are party to various wicked shenanigans from an ambitious rival noble, and so on. There is a tragedy, exile, a regrouping of the protagonists, a trip to the mystic forest for supernatural aid and so on. In the end there is a damn big fight in a castle. Now, sick as I am of bog-standard fantasy movies, I would still concede that it might be possible to do one of these movies that wasn’t actively dreadful – but for this to happen, you would need a witty and intelligent script with a firm handle on the characters, brought to life by engaged and charismatic performers and a director of vision and energy. 47 Ronin has none of these things, with the remarkable result that a big-budget fusion of the fantasy and samurai genres with lashings of CGI and a considerable amount of bloody mayhem actually turns out to be really, really dull. I can forgive a film being bad as long as it’s bad in an interesting way. Tedium is much bigger crime in my book, and this film reeks of it – and it’s really all down to the script, which is mechanical and obvious, not bothering to bring any of the characters to life, and the direction, which is flat, uninspired, and too reliant on empty spectacle to really involve the viewer. Keanu is at his most robotic throughout – though his cause isn’t helped by the fact that the film can’t seem to decide whether his character is the main hero, or if it’s in fact Hiroyuki Sanada. I should point out that Keanu is the only significant non-Japanese character in the film (there’s a very Pirates of the Caribbean-informed visit to some Portuguese traders, but it’s over with quickly) and most of the cast is made up of Japanese thesps whose faces may be vaguely familiar to you even if their names aren’t. Most of them have a decent stab at the material, such as it is – though the totemo kawaii Rinko Kikuchi really struggles with the part of a vampy witch (or possibly a witchy vamp) who spends some of the time looking like a fox, some of it looking like a dragon, but nearly all of it looking a bit like David Bowie. Despite this, for most of its duration the film feels about as authentically Japanese as Usain Bolt playing the bagpipes while dressed in lederhosen. There’s something very odd about the conception of this film – it’s a bit like Japanese producers deciding to make a Robin Hood movie, then casting a lot of British and American stars in it but requiring them to speak Japanese (with Watanabe Ken prominently cast as a Merry Man). The only element of the film which felt to me as if it genuinely came from Japanese culture was a slightly distasteful obsession with ritual suicide. This is practically fetishised by the film, and – without giving too much away – it happens in bulk quantities. Something very weird is going on when something that appears to have been an attempt at an exciting fantasy adventure for a mainstream audience feels the need to include dozens of characters committing seppuku, and virtually celebrates this. I saw the trailer for 47 Ronin, clocked the dodgy historicity, prominent CGI, and Keanu Reeves, and thought I had the film pegged as 300 Goes East. I would never seriously argue that 300 is a great movie, but it’s highly entertaining – virtually the definition of a guilty pleasure. 47 Ronin didn’t make me feel guilty, but I got hardly any pleasure from it. 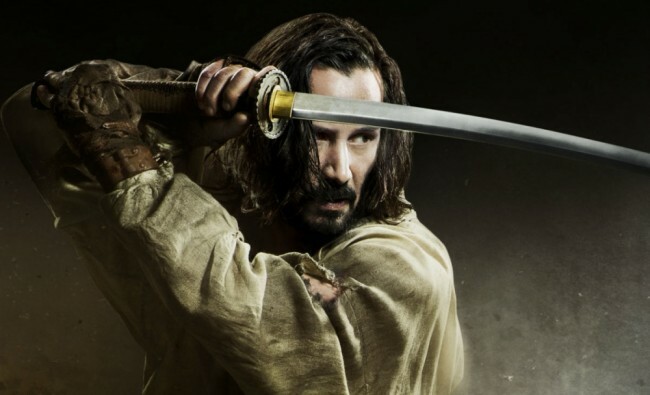 I respect Keanu Reeves’ decision only to take selected acting roles these days – but on this evidence, he really needs to do his selecting with a lot more care and attention, because 47 Ronin is a rotten film. With the possible exception of an American horror movie, I am less likely to see an American comedy than any other type of film. This is mainly because it seems to me that the funny American film is in a state of advanced homogeneity, with all of them sharing the same sort of tone and approach, not to mention the fact that they draw upon the same very familiar pool of actors. Nearly every major release seems to be produced by Judd Apatow, as well. None of this would be a problem if it were a kind of homogeneity I actually had much time for. But I don’t. So there you are. Comedy sequels tend to be pretty odd beasts – the whole basis of a sequel is essentially ‘more of the same’, but repetition is, of course, the death of comedy. Long-running comedy franchises tend to be based around characters who can go anywhere and do anything, either as individuals or ensembles. 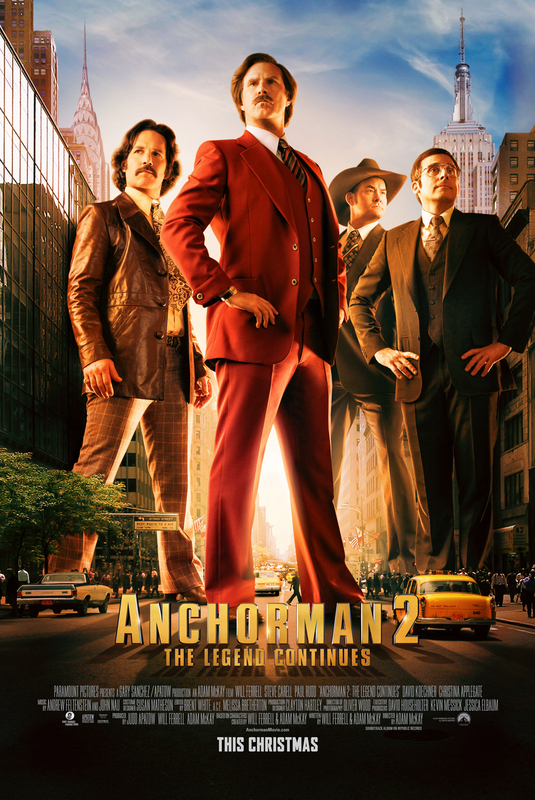 Anchorman is, you would have thought, fairly limited by the fact that it’s about a newsreader. So how does the new film perform? After some scene-setting shenanigans, the story proper opens with a clinically upset Ron Burgundy (Will Ferrell) on the skids and on the bottle, working at a sea-life park. Once a journalistic titan, Ron is in a bad way, his personal and professional lives both having fallen apart. However, hope glimmers when he is offered a spot on America’s first 24-hour news channel – is this a chance to re-forge the legend of Ron Burgundy? Well, of course it is, provided he can reassemble his crack news team of sports reporter Champ (David Koechner), roving investigator Brian (Paul Rudd), and semi-sentient weatherman Brick (Steve Carell). What follows is essentially a relentless shotgun satire directed against any hapless target that wanders into range: fast food restaurants, cat photographs, race relations, rolling news channels, Australian media tycoons, and so on, interspersed with character bits for Ron and his team. I was watching the first Anchorman on TV the other night and, as usual, trying to work out what made it so funny – was it the loving pastiche of 70s values and fashions? Was it the deadpan skills of the performers? Was it the fact that – despite the film not being scripted as such, but improvised by a gang of people messing about in front of a camera – it was built on a firm structural basis? And then I realised it was none of the above. Both the original Anchorman and the new one are funny because they are knowingly, defiantly, enormously silly. Most of this film is simply ludicrous on every level – but it’s a knowing sort of ludicrousness, one that’s carefully judged and not all that far from actually being ironic. There’s a sight gag about Ron bottle-feeding a… no, better not spoil it, not to mention another scene where an astonishingly big-name star in an uncredited cameo turns into a… no, don’t want to spoil that one either. I usually avoid movie comparisons like the plague (I have people on the payroll to do that kind of thing for me, after all), but there are scenes in Anchorman 2 which would not seem entirely out of place in a Monty Python project. However, what is telling is that the producers have a very strong idea about what their real strengths are: Ferrell and most of the others are consistently amusing, but it’s telling that when the film feels the need to get really big laughs, it wheels on Steve Carell as Brick Tamblyn. Carell is, by a very long way, the funniest thing in an extremely funny film – one is almost tempted to wonder how long it will be before Brick gets his own spin-off movie, but I’m not sure the character would support one. One of the less successful plotlines in Anchorman 2 sees Brick embark on a torrid romance with the equally brain-dead Chani (Kristen Wiig), and the results are more weird than consistently funny: Wiig almost seems to be trying to find some emotional reality in her character, as opposed to the glazed inscrutability that makes Carell’s performance so hilarious, and it does feel as if scenes from a very off-beat art-house movie have been spliced in by accident. What’s slightly surprising, given how riotously absurd most of the story is, is that this actually seems to be a film attempting to make serious points about the modern media: there is a lot of satire of the news networks and the fact that they are making news much more than simply broadcasting it; the populist and conservative bias of most of these channels comes in for some heavy stick as well. This is not done with an especially light touch, and this gives some parts of the film an almost preachy quality which I wasn’t sure I cared for. Then Brick came on again and made me laugh until I hyperventilated, so that was okay. Even so, there’s a third act segment which felt to me like a genuine misjudgement – earlier in the film there are some slightly edgy gags about attitudes to race and domestic violence, but the whole point of them is that Ron and his friends share stupidly unreconstructed values. We’re laughing at them, not at jokes about punching women or all coloured people being drug dealers. Later on, though, there’s an extended series of jokes about disability which didn’t seem to have that quality of distance which made them acceptably ironic. It’s not that big a deal, and the circumstances involved are as ridiculous as the rest of the movie, but it’s still a distinct wobble. Nevertheless, this is still a very funny comedy. It reminded me a lot of the second Austin Powers film, in that it’s largely a more confident and more polished version of the original, with the key moments and gags you remember from the first one being retooled and expanded upon this time around. 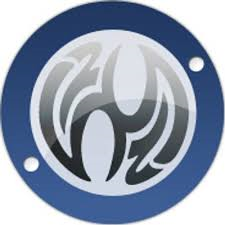 That proved to be a very limited strategy when it came to producing a long-running franchise, of course, and I can imagine McKay and Ferrell thinking very carefully about whether to return to these characters yet again. For the time being, though, that’s not a problem: Anchorman 2 is as inventive and as charmingly deranged as its predecessor.